The simple mechanics of a mini-split HVAC system is what makes them so efficient. There are two basic elements to a mini-split HVAC system: an outdoor condenser or heat pump and a series of indoor air handlers. When your air conditioning is in use, the outdoor unit sends a refrigerant solution through a cable to your selection of specific indoor air handlers. The cables used today can have a linear distance of up to 230 feet and can be up to 160 feet high. This is enough length to easily accommodate most residences. Jupiter Air Conditioning and Heating requires only a small access point to install these cables, which is much cheaper and much easier than installing an entire ductwork system throughout your home. Jupiter Air Conditioning and Heating will allow you to choose where you would like to place the air handlers throughout your house. They can be mounted on ceilings, walls, and even floors. You’ve worked hard decorating your house to make it your own, so we will go the extra mile so that our air handlers are discrete and will not affect the look of the room. 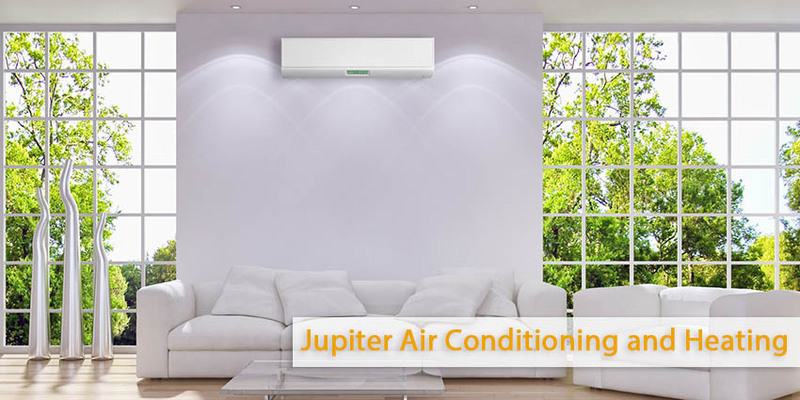 If you think that your air conditioning system is not energy-efficient and does not provide the comfort that you deserve, call Jupiter Air Conditioning and Heating. We will provide a free consultation to discuss what a mini-split HVAC system can do for you!